Hi lovelies! Today I'm back with my unboxing and swatches of December's MeeBox. If you missed Novembers box, you can find my post here. December's theme is 'No Place Like Home' and is inspired by The Wizard of Oz. I was super excited to receive my box, and it contained everything I'd hoped for and more. I'm sorry in advance if I'm over enthusiastic and say I love everything, but I honestly do! 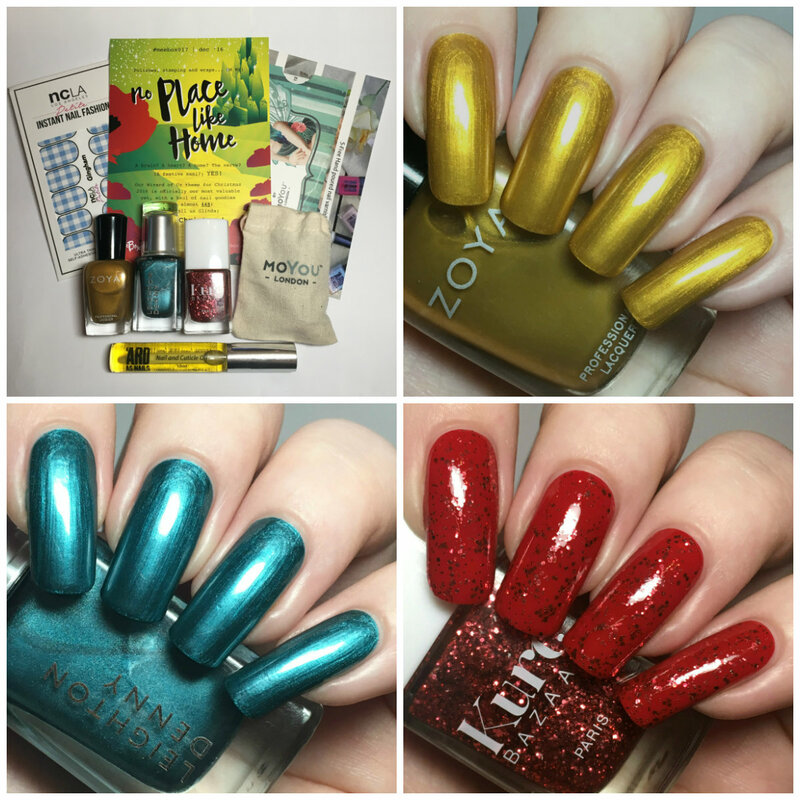 Read on for full swatches and a look at everything inside! First up is Zoya 'Goldie' a bright yellow toned gold metallic. It has a really smooth formula, although you do get a lot on the brush - I would wipe some off before applying. I could see my nail line slightly at certain angles after two coats, but not enough to justify a third. This does apply with brushstrokes, some of which stay once dry. Below is two coats and topcoat. 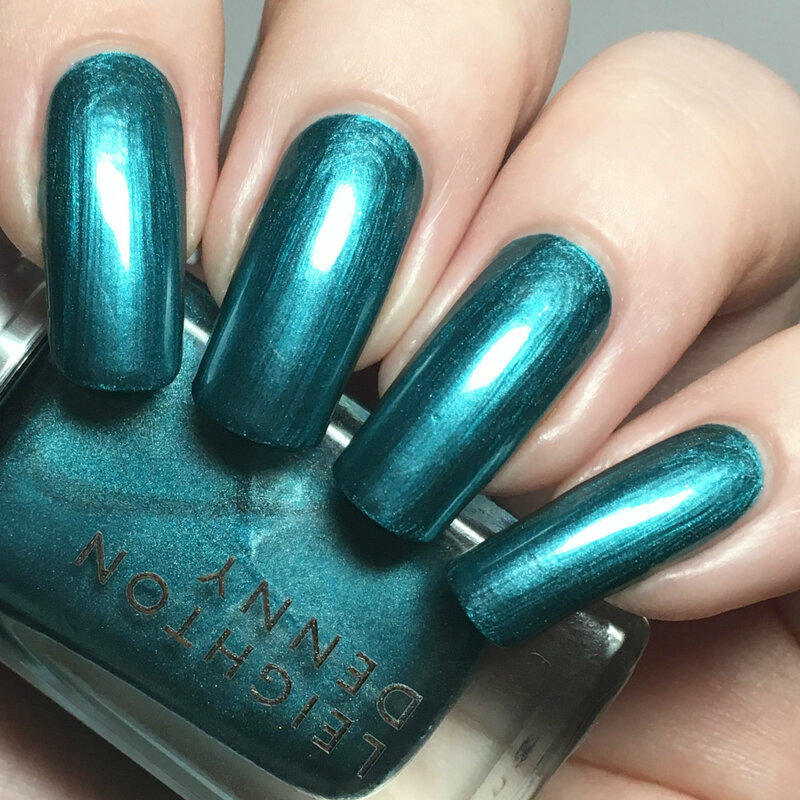 Next is Leighton Denny 'Jailbird', a rich teal metallic. It is very smooth and easy to apply, and very nearly a one coater. I did add a second to cover some slight patches. 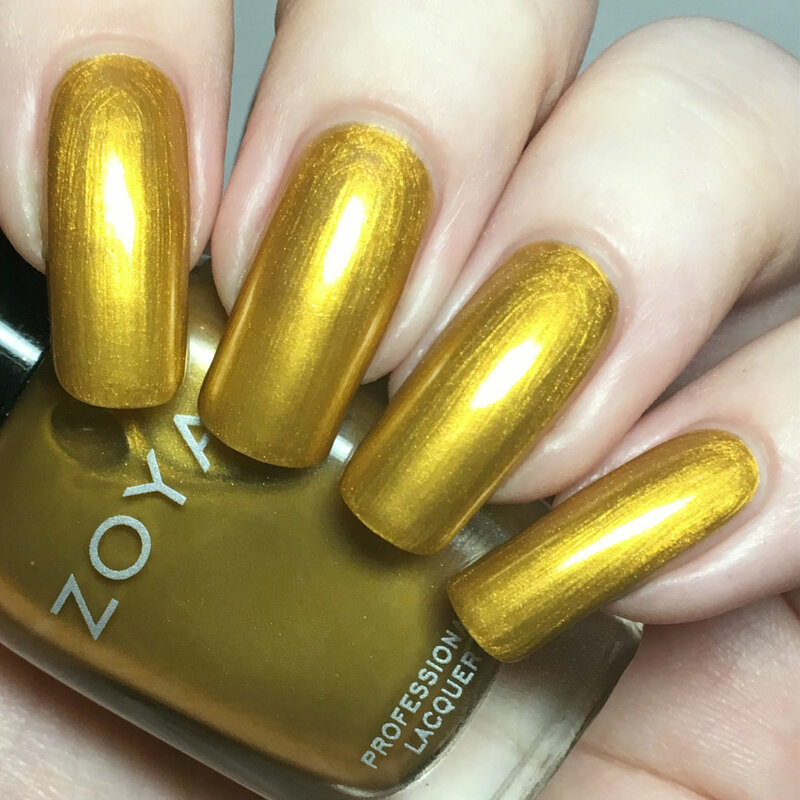 Like the Zoya this dries with some brushstrokes. 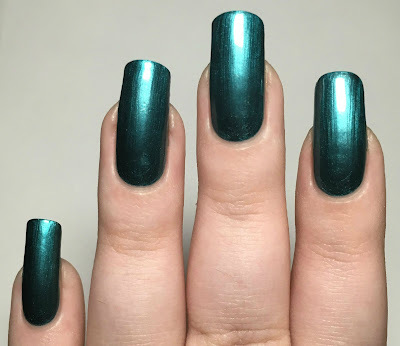 I genuinely can't tell if this is green or blue. It looked green to me in the bottle at first, then bluer on my nails, and much bluer again in my photos. Below is two coats and topcoat. Lastly, we have Kure Bazaar (a new brand to me!) 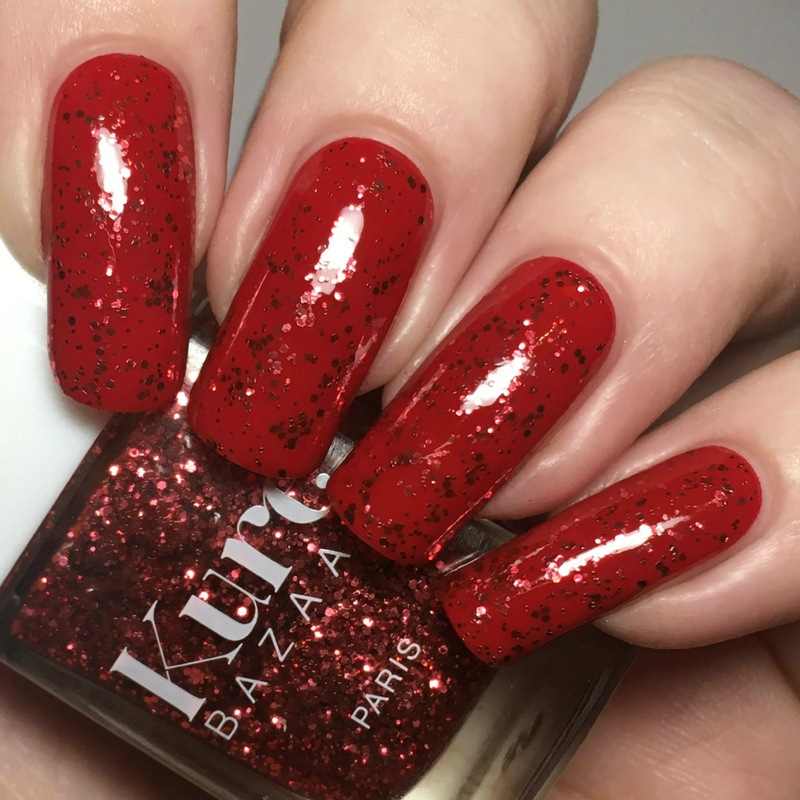 'Pigalle', a metallic red glitter. 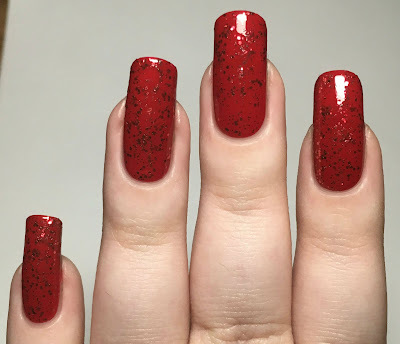 The glitter is sheer enough to be a topper, so I swatched it over a red creme to give the look of Dorothy's famous shoes. It applied and spread out easily without too much manipulation, and the glitter lies nice and flat on the nail. Below is one coat (with topcoat) over OPI 'Big Apple Red'. We received two items from MoYou London this month - a fairytale plate and a stamper. I'm not sure the stamper is for me as I prefer larger ones, but I think I'll pass it on to my Mum to have a play with. The plate is amazing - I didn't know it existed, or I would have bought it myself! That would normally be it, but the lovely MeeBox ladies sent us two extra items for our December boxes, both of which I love. We were treated to a gorgeous smelling cuticle oil from 'Ard As Nails (by Soap Dodger), and a set of Gingham nail wraps from NCLA. The wraps literally scream Dorothy to me and I love the cuticle oil! What do you think? This might be my favourite MeeBox ever. Do you love it as much as I do?! When I heard 'No Place Like Home' I imagined reds, greens and golds, and that's what we got! I'm slightly disappointed that the Leighton Denny wasn't a true green, as I had imagined a bold emerald green. 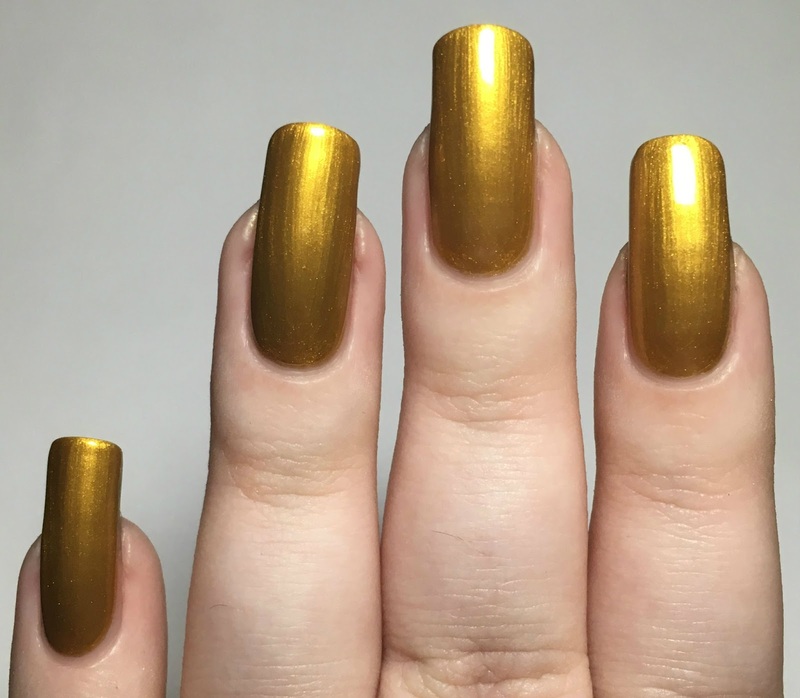 I have some fun ideas for nail art this month, so I should be posting a look (or two) soon! I loved this box too and thing you showed the polishes off to perfection in your swatches. Can't wait to see some themed nail art! Love the stamping plate. You are talking to a fellow MoYou London fan girl! I absolutely love Pigalle and the gingham wraps! That red is standing out . Loved all the shades on you.